We are delighted to have 3 overseas distinguished speakers and several local experts from different disciplines contributing to the scientific programme which is filled with topic of practical relevance to the clinical multidisciplinary team. 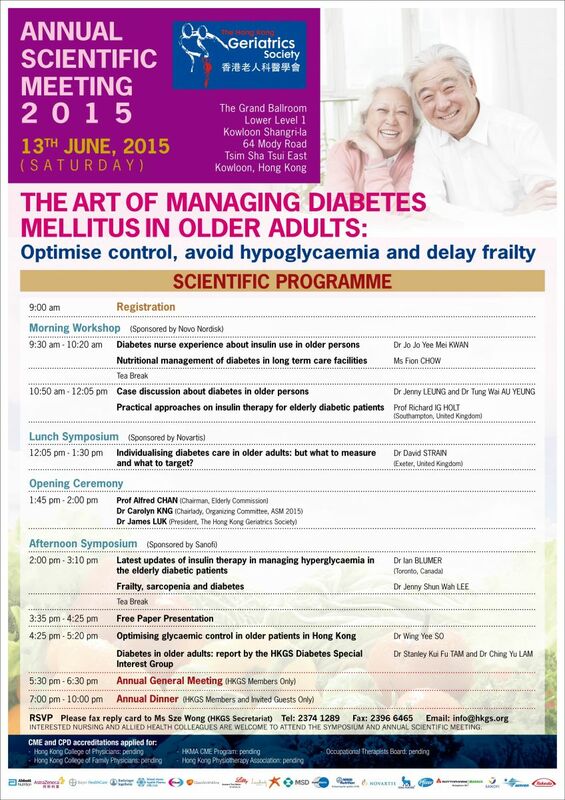 Copyright © The Hong Kong Geriatrics Society. All Rights Reserved.